Take Them For the Ride of their lives! 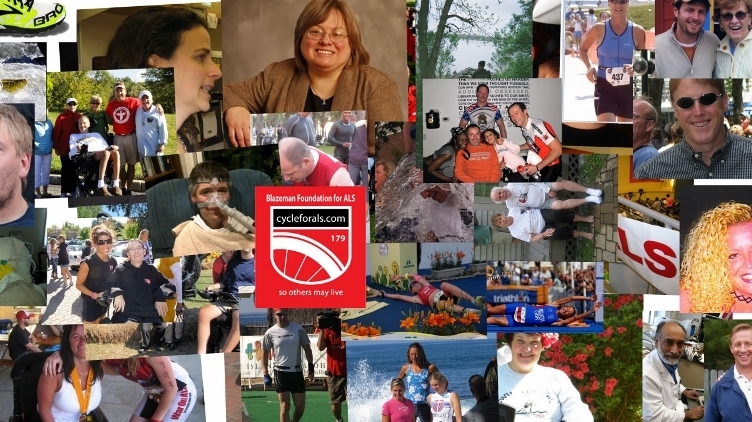 The 2017 Blazeman Foundation Cycle for ALS is dedicated to all the PALS, past and present that have touched our lives since Jon attended the first cycle in 2006. The research dollars raised since that first event have gone to the bench science that continues to unravel the cause of ALS. We thank you all in advance on helping us make 2017 the best year yet!!! Most people who develop ALS are between the ages of 40 and 70, although the disease can occur at a younger age. It occurs throughout the world with no racial, ethnic or socioeconomic boundaries. It affects as many as 30,000 in the United States, with 5,000 new cases diagnosed each year. Estimates suggest that ALS is responsible for as many as five of every 100,000 deaths in people aged 20 or older. ALS is most common among persons over age 60. The incidence of ALS is five times higher than Huntington's disease and about equal to multiple sclerosis.